The Expanded Public Works Programme set itself a five-year target to create 6 millionwork opportunities by last month. But the numbers don’t tell the whole story. In what ways do these temporary opportunities change people’s lives or fail to do so? It was second time lucky for a single mother from rural Mbizana in the Eastern Cape, who could not find employment after completing a learnership that taught skills such as bricklaying and painting. Thobeka Mditshwa (36) from Redoubt participated in this learnership programme in her hometown in 2011. But after the programme came to an end the following year, she remained at home, struggling to find a job. In 2015 she got her break, thanks to a learnership programme and a partnership between the Manufacturing, Engineering and Related Services Sector Education and Training Authority and the Expanded Public Works Programme (EPWP). 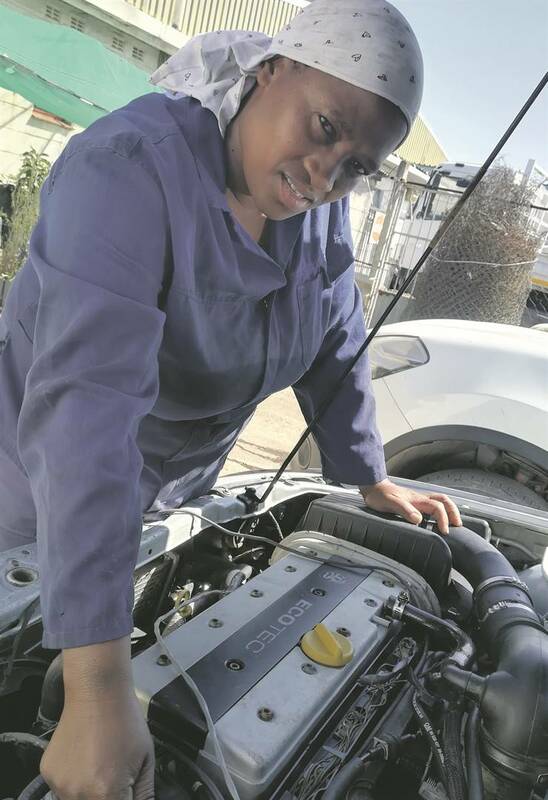 This time, it was an auto electrical learnership – and she has been working in Mthatha fixing cars at Fred’s Auto Electrical in Vulindlela Heights ever since. “This programme is also about skills development. We are learning the skill of fixing cars and being trained as auto electricians. I am due to go on a trade test between June and July this year,” she says. I want to have my own workshop similar to this one, and fix cars. I want to help people from my village and employ them and empower them with the skills that I got here. Mditshwa lives far from home and pays R700 rent for a small room in Chris Hani township in Mthatha. She spends about R400 on transport for herself, and R200 goes to electricity at home. She spends R1 000 a month on groceries and sends some of what is left back home to her mother, Modi (79), in Mbizana. Mditshwa, who has completed matric, says her biggest ambition is to establish her own auto electrical workshop. “I want to have my own workshop similar to this one, and fix cars. I want to help people from my village and employ them and empower them with the skills that I got here. Mditshwa says her first EPWP-linked learnership helped her to get into the new programme because she was already on the database. She is now planning to get a driver’s licence to advance her skills. He says what they did was to give Mditshwa practical training. Saunders hopes to send her and another apprentice for a trade test “so that they can become qualified auto electricians”.